Used mobile homes within mobile home parks account for the vast majority of homes on the market today. It’s also not a bad option considering that you can score these homes at bargain prices compared to real estate. All the utility setup and all the other aspects that make mobile home living tick is also already taken care of. 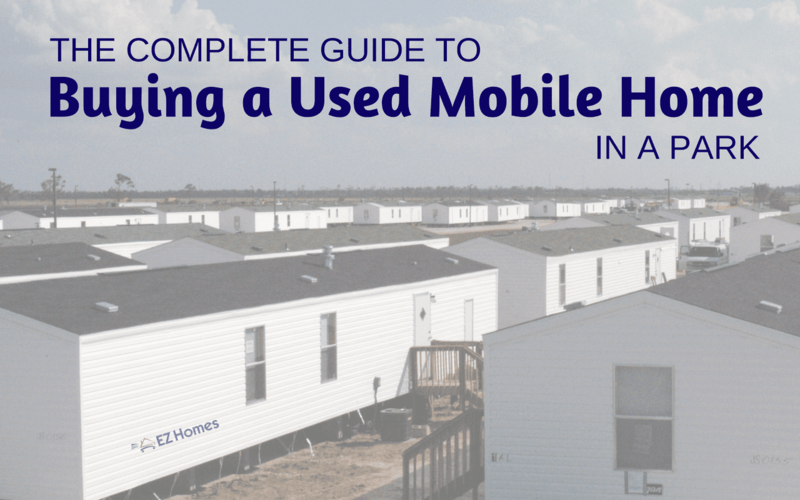 In this article, we will take you through the process and all the considerations of buying a used mobile home in a park. Where to look for a mobile home in a park? The first place you should look is online. You can have hundreds or thousands of listings at the click of a button from anywhere in the U.S. There is simply no better way for you to get acquainted with the market and see what’s out there at what price. Sites like MHVillage and Mobilehomeparkstore.com should be at the top of your list. Having a look at mobile home parks in your area and calling them directly to inquire about homes for sale is another option. You should be able to easily find parks in your area via the sites above through a quick Google search. Looking in the telephone book also helps! Another option is to head over to the nearest Mobile Home Dealer. They might have some great deals available that they save for select clients. Make sure that you are doing business with a licensed mobile home dealer. As you are unlikely to move out of the park with the home, you should get acquainted with your new community and decide if it’s a place you would like to stay. Each mobile home park comes with its own community feel as well as rules and responsibilities for their tenants. This might all be laid out in the lease agreement, but most parks also distribute a rulebook that’s easier to follow. It’s important to realize that you are not just moving into the home, but also into the park. Check if the park allows pets, to what extent it allows you to change the appearance of your home or lot, who is responsible for maintenance (and related costs), what’s included in your lot rent, etc. These are pretty concrete facts to check. However, you should also be aware that there is a broad spectrum of mobile home parks offering different experiences. Nowadays, you get everything from affordable to luxury mobile home parks and everything in between. There are even age-restricted mobile home parks with 55+ age parks becoming more popular. Mobile home prices vary dramatically. You can find small, second-hand single-wides for as little as $10,000 while you can expect to pay around $30,000 to $60,000 for a double-wide. Multi- or triple-wides can get very close to $100,000. It also depends on the state, houses in California can run a few thousand dollars more as it’s a higher cost state. Can you move the home out of the park? This depends entirely on the individual mobile home park. However, parks generally do not allow this. Whether it’s just to keep up appearances or to keep their occupancy rates high, parks don’t like to remove units from their lots. Even if you are buying the home from a park resident and not from the park itself, you might still be subject to this clause. The park will most likely have binding rules in place that prohibit someone from buying the home and then moving it out of the park. If this is what you plan on doing, you should first get explicit confirmation from the park management beforehand. It’s ultimately up to them. Don’t feel too done in. Moving a mobile home is extremely expensive and not worth it for most people in any case. You can almost buy another home for the same price as moving one across the state. The home could even lose it’s HUD status and ability to qualify for a loan. As the home you are looking at is located inside a mobile home park, you won’t only be dealing with the seller. And your home isn’t located on private land. That means that you take a pass on paying property taxes. However, it also means that you will need to keep renting the space from the park for as long as you plan to live there. For this article, we assume that you are purchasing the home itself from either the park or the previous owner. If you financed the home, you will have a monthly payment to make to your lender. Regardless, you will be paying your park on a monthly basis as well, a payment that’s called lot rent. There are very few exceptions where the park sells lots along with the homes. Lot rent is literally the rent you pay for the piece of land that your home is located on within the park. Depending on how the park operates, the lot rent can include a number of other monthly fees. For example, some parks will implicitly state that your lot rent includes your garbage collection, gardening services, other levies, cable, utilities, etc. Some parks will offer these services at extra cost on an optional basis or charge them separately but still make them obligatory. Other parks will even mention what amount of your lot rent amounts to property tax. Mobile homes can pick up a variety of problems of varying degrees during their lifespan. Most of these are just little niggles that are fairly easy and inexpensive to fix. However, some might be more severe. These issues can arise from the previous owner’s negligence or just as a part of a mobile home’s natural life. If you are in doubt, you should get a professional to inspect the home on your behalf. Usually, the parks themselves will inspect homes and fix them up before the new owner arrives. However, this might not always be the case, and it’s safest to take matters into your own hands. Check window and door frames for cracks or small gaps. This is caused by the home “settling” into place or contracting/expanding with the weather. 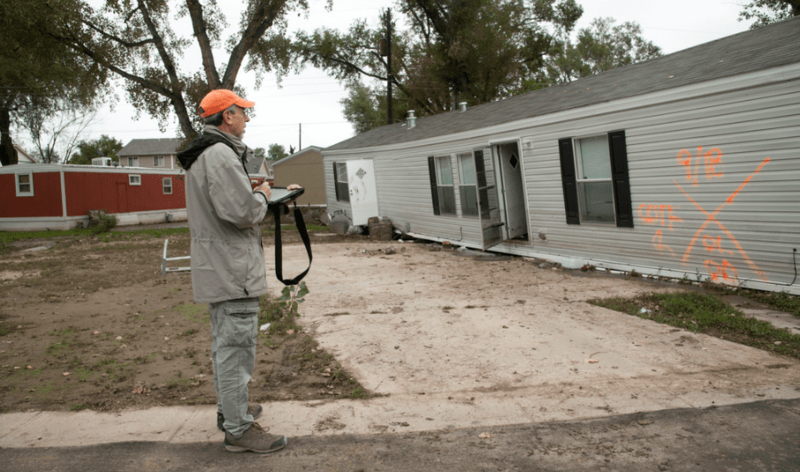 Inspect the home for any signs of water damage. This is a problem that should be neutralized as soon as possible to avoid extensive damage and discomfort. Confirm that there is a belly wrap installed on the belly of the home and that it’s still intact. Look for the HUD plate that proves the home was built according to the HUD code (more on this later). Try to ascertain the state of the flooring. Is there a lot of creaking? Does it bend in certain places? This can also lead to significant problems down the line. Check if the home is level. A home can become unlevel due to shifting soil or settling. This is not necessarily a huge problem but can lead to it in time. Inspect the home’s anchoring and where it’s fastened to the foundation to make sure it’s still secure and in good shape. We always talk about adherence to the Manufactured Home Construction and Safety Standards of 1976 (commonly referred to as the HUD code) when it comes to buying advice. It’s such a powerful factor that significantly affects the value, safety, and legal standing of your house as a place of residence. The HUD Code was instantiated in 1976 to bring a federal standard to the mobile home industry. They also officially rebranded mobile homes as “manufactured housing” inline with these new standards. It came as an attempt to improve the safety and standards of mobile homes who, at the time, had a less than stellar reputation. Fatal accidents, most often attributed to fires, were relatively common and the quality of the materials used left much to be desired. Since then, manufacturers need to be certified that their homes are built according to these standards and receive a HUD plate as proof of this. However, homes can lose their HUD compliance with the passing of time. Either as a result of the owners making ill-advised changes or because of new amendments made to the code. If the seller doesn’t provide you with a recent certificate of compliance, you might want to hire a professional to test it on your behalf. A home that is not HUD compliant will not qualify for any type of “above-board” financing. Additionally, it is worth much less than a similar home that is HUD compliant. A serious lapse in safety may also be an indication. 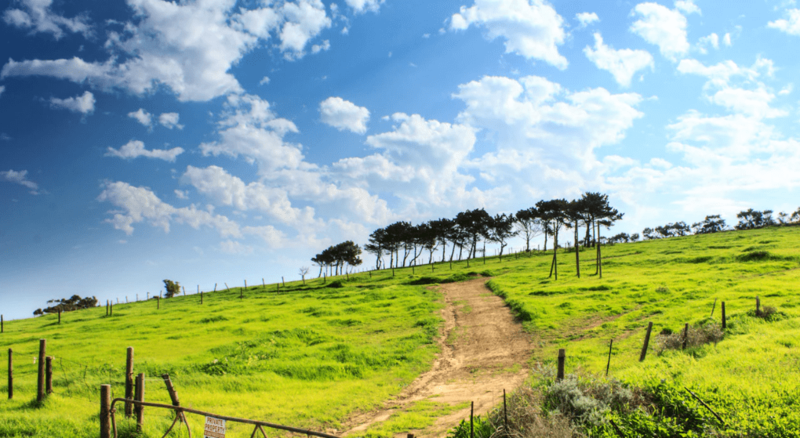 If you want to be rest assured that everything is above board, you should know what documents are involved in the typical sale of a mobile home. You are well within your rights to ask why one of these aren’t being included as part of a sale. Halt the proceedings until they are or until you have consulted a lawyer. A sales contract is a document that stipulates the terms of the transaction. It covers things like the amount to be paid, the condition of the mobile home, identities of the parties involved, and a confirmation of the agreement. Moreover, it enforces the right of the buyer to get copies of the titles and warranties on the home. Grievances to be solved may also be determined. A bill of sale is in use in most states the most common way to prove ownership of most types of properties, even mobile homes. It outlines the rights and responsibilities of both the buyer and the seller. For example, the right of the buyer to have the home transferred to him. It’s required by lenders when making a loan purchase on a home. There are very few exceptions where you won’t sign your very own lease agreement brand new lease agreement with the mobile home park. In the majority of cases, your tenant will either terminate or finish his lease agreement, leaving you to agree to a brand new one with the park management. The lease agreement will stipulate your payments, park rules and responsibilities, the term of your lease, and our rights as a tenant. This certificate is another document that proves the ownership of a property. It also shows any liens still open on the property. In general, it’s required by local authorities as well as lenders when they want to ascertain whether the property is worth it’s asking price. Some states, California, for example, require mobile homes to have an occupancy document. Usually, this includes some form of proving that the house is fit to live in. In some states, it’s required to hand this document over to a buyer if to complete the sale legally. Some borrowers will also request it to give buyers a loan. The final step is financing. Even though mobile homes are very affordable, few people have the cash on hand to buy one in a single lump sum. Luckily, there are some avenues of financing available to you contrary to what you might have heard. FHA loan: You apply for a normal loan that is then guaranteed by the FHA. These loans can have very generous terms but place certain requirements on the home and the loanee. VA Loan: Works the same way as an FHA loan except for that the Department for Veteran Affairs backs it. Chattel loan: This is like a lien on a piece of property. It’s the riskiest type of mortgage but the easiest to secure for a mobile home owner. Traditional mortgage: Your house will need to be converted and certified as real estate property to qualify for a real estate mortgage. Rent to own: You will pay a higher amount of rent than normal to pay off the mobile home over time, with the option of paying the remaining lump sum at some point in the future. Seller financing: You make some kind of agreement to pay the home off in monthly payments to the seller. It will most likely also include an initial down payment. Move into your new home! So, you have found the home that’s the right fit for you. You have inspected it, and the park and you are content with your new habitat. All the paperwork is complete, and you have found a way to purchase the home at a rate that’s affordable to you. Now, all that’s left is to move in! Congratulations, the most grueling part is behind you. Buying a used mobile home in a park can provide a pleasant living experience at a price that is much more pocket-friendly. We hope that you enjoy the near future in your new home and your new community.